To say Dearborn County Hospital needed a fresh start is an understatement. Stereotyped as “small-town community,” they needed to compete with larger regional health systems for a wider territory of patients. The hospital was also saddled with an outdated (negative) public perception. For a clean break from old notions, and for a broader story of their services, we proposed a complete name change. 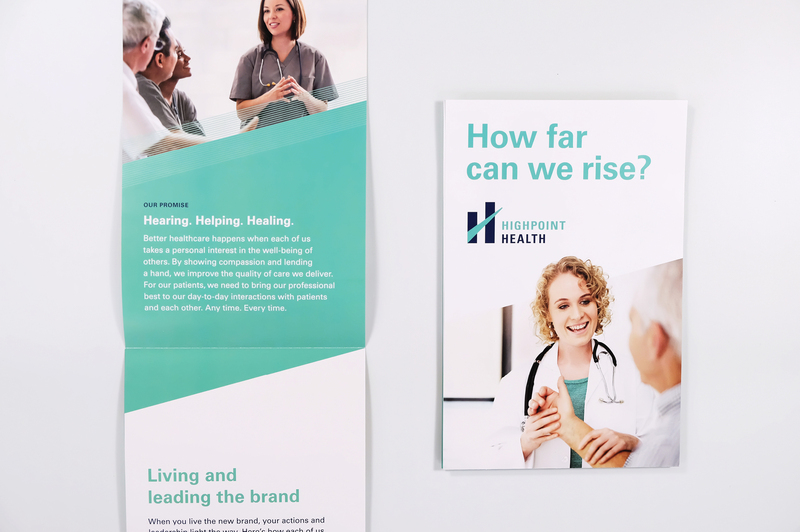 After casting a wide creative net, and much research, Dearborn County Hospital became Highpoint Health. The new name, with a nod to their hilltop location, gives patients an aspirational destination to reach for. The hospital did have one significant advantage—an involved, personable patient experience. The first order of business was to align and engage employees, the people responsible for delivering that experience. By defining “why we exist,” this memorable and motivating phrase has become an internal mantra with the Highpoint Health culture. The three related ideas also form the framework of their service training process. 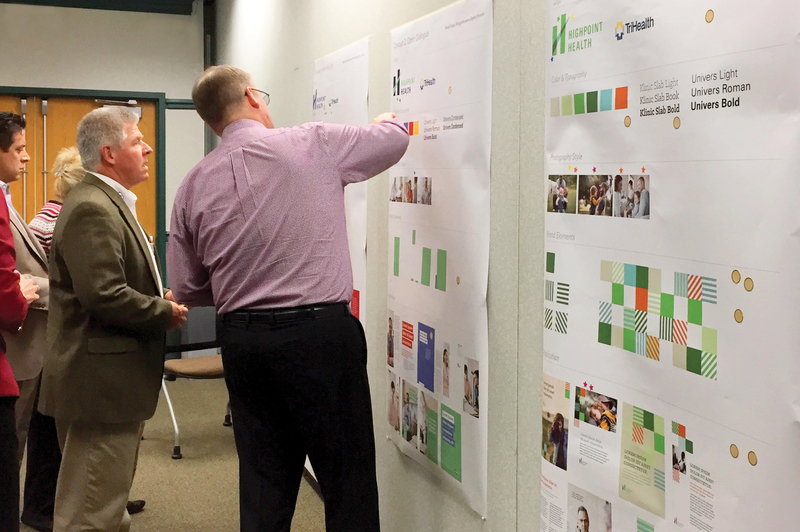 We sought out patient and community input from the beginning. After focus group testing 5 logo concepts, a clear winner was confirmed. The new logo, with a bold, upward slope, mirrors the hospital’s pursuit of continuous improvement, high performance and a better experience. We presented 3 visual identity toolbox concepts to the leadership team. To stretch, challenge and expand each concept, they joined us for collaborative workshops. The feedback allowed us to refine and revise the toolbox, making the finished product even stronger and more strategic. 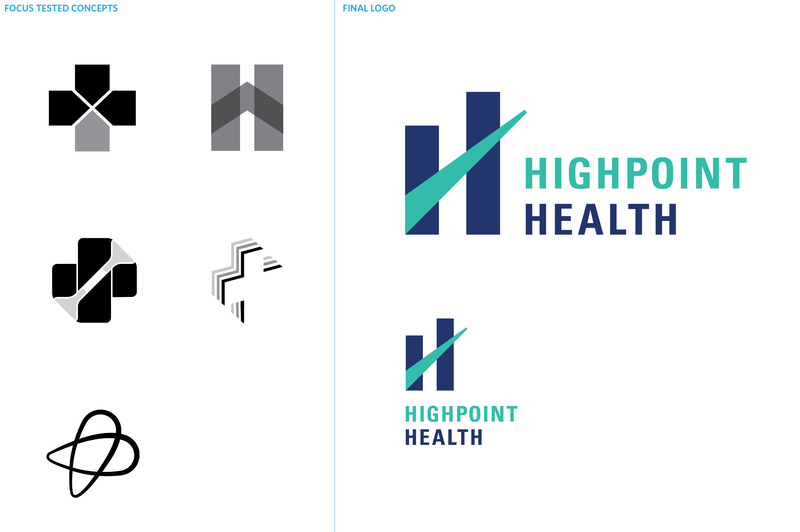 With few internal resources, Highpoint Health needed to make it easy for all future stakeholder teams to stay on brand. 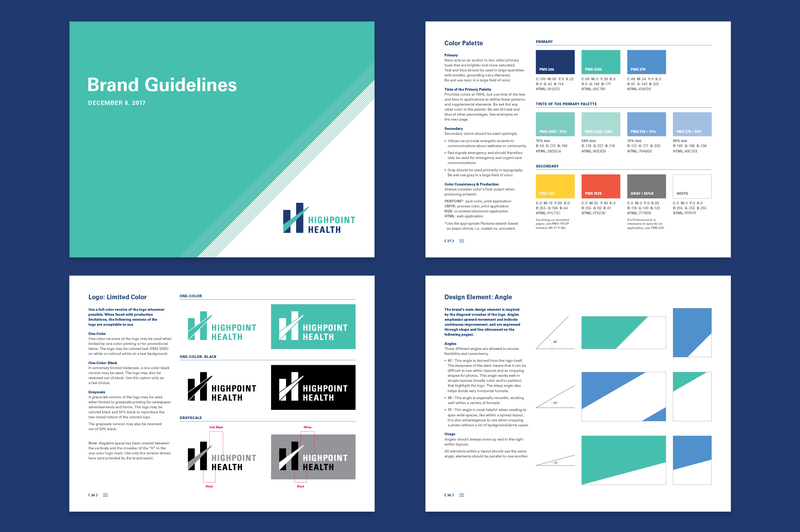 These comprehensive brand guidelines create consistency across all mediums. Along with standard voice and visual elements, we also included guidance for uniforms, sub identities and signage. Such a radical transformation of a local mainstay required a strategic launch plan. 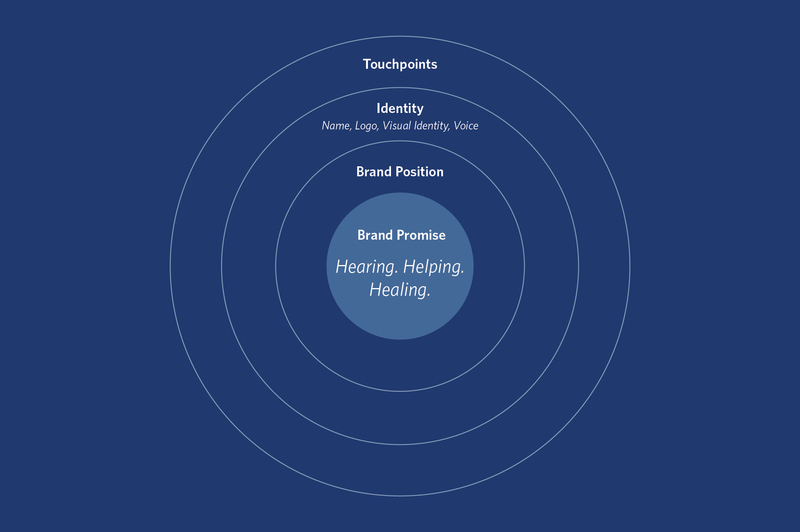 First, the brand was launched to employees at several events, where the president met with small groups to make sure the brand promise was well understood. Then, community leaders were invited to special events to introduce the new name and logo. Only then was the brand revealed to the public.